While in Italy last September, I attended a Slow Food Cheese event. Slow Food is an international nonprofit that was started in Italy in 1989. It was founded on the ideas of gastronomy, which is the study of the relationship between culture and food. The nonprofit was established in part to counteract the proliferation of fast food, perceived as a threat to Italian culture. Slow Food has grown significantly since 1989, and now has 1,000 local chapters (called "convivia") in 132 countries, with a total of more than 100,000 members. Events are held all around the world, but the largest festivals are held in Italy. These include the annual Terra Madre (“Mother Earth”), and the biennial events Salone del Gusto (“Hall of Taste”) and Slow Cheese. In 2008, Slow Food launched an initiative to green its events, entering into a multi-year partnership with Novamont, an Italian bioplastics producer. Together, the organizations are working to progressively reduce the environmental impact of Slow Food events, targeting waste generation, packaging, furnishings, cutlery, logistics for transporting goods, CO2 emissions and energy and water resources. I was lucky enough to attend the seventh Slow Cheese event, held in the town of Bra in the Langhe region of Piedmont (northern Italy), famous for its Barolo and Barbaresco wines. Bra is the hometown of Slow Food founder Carlo Petrini. Slow Cheese 2009 attracted 160,000 visitors, of which 50,000 (30%) came from outside of Italy. Forty-five waste stations were strategically placed around the town to capture residuals, monitored by volunteers who helped direct patrons. Each waste station had five bins for source-separated materials: glass and metal, paper and cardboard, organics, plastic and trash. There were approximately 250 exhibitor booths, which all had organics bins, and kitchens had 30 organics collection points. All organics bins were lined with compostable bags made from Novamont’s Mater-Bi® resin. Other compostable products and packaging used at the event include cutlery; paper cups, plates, bowls and trays; PLA cups and bowls; and wooden stick cutlery. For a more detailed review of the organics diversion at the Slow Food event, please see my article published in BioCycle magazine. A Slow Cheese event in Italy? What an awesome experience that must have been! 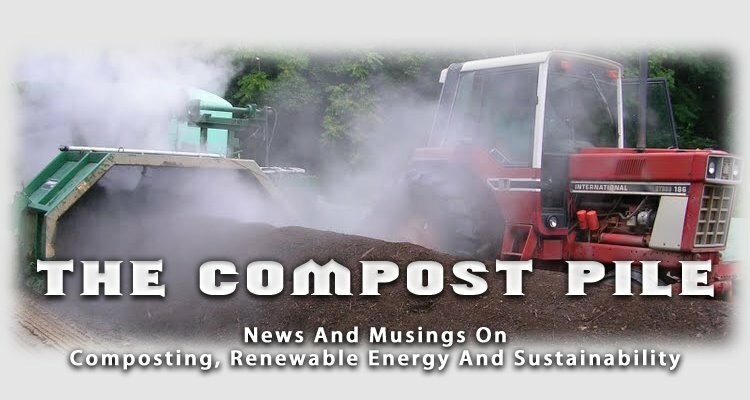 At the University of California, Davis, they have zero waste events where they have volunteers monitoring the compost/trash/recycling containers. It's highly successfull and it's great to see that others are doing that type of monitoring at large events. Thank you for that excellent report. It sounds like managing the waste for the event was very person-intensive, with volunteers having to direct patrons and vendors on how to dispose of their waste. I wonder what sort of a lasting impact that human interaction about disposal had on the folks who attended the event. I imagine they took home with them the message about how to think about the waste that they produce and what to do about it, in addition to the wonderful information and experiences that they were gaining about the nature of food and flavor. After all, people are so much better than color coded bins at helping each other understand their relationship with the world around them.